I've been doing some design consulting with a girl in Texas for the last few months. clean neutrals and updated patterns and prints. South Cackalacky and I can tell just from emailing she's a blast. She already has fantastic taste, she just wanted my help and a little guidance. opted to make her own! I couldn't wait to share her d.i.y. with everyone! = Ultra fab custom drapes for the dining room! Thanks for letting letting me share your gorgeous drapes Brandy! what drapes do you get from ikea? can you email me the link? 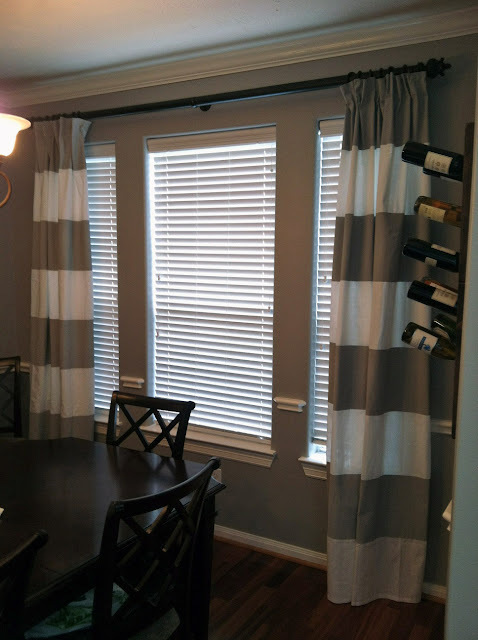 I am needing new drapes and i LOVE this idea! that way i can get a custom paint color that i love! also what type of paint did you use? The drapes I used from Ikea were called Ritva. They were only $25!! For the pair!! I had leftover paint that my painters used from Sherwin Williams but it was in the eggshell finish and I didn't think the drapes should have any sheen to them? So I bought a quart sized can in the same color but in the flat finish. The quart covered both panels and I had some paint leftover. Make sure you buy plastic backed drop cloth since the paint bleeds through the panels. 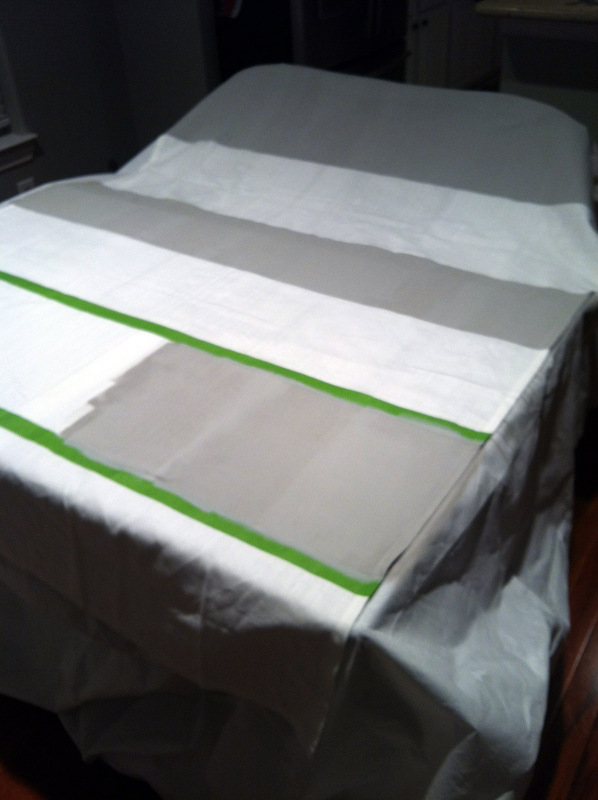 When they dry, the painted part of the stripes feels stiff, but I found that it gave weight to the panels (so they hung nice) and you could shape the drapes (almost like wired ribbon) so they would ripple where you want them to. Win, win!! The color is by Benjamin Moore and it's called Baltic Gray!